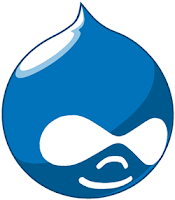 Drupal 6.17, a maintenance release fixing issues reported through the bug tracking system, is now available for download. There are no security fixes in this release. Upgrading your existing Drupal 6 sites is recommended. For more information about the Drupal 6.x release series, consult the Drupal 6.0 release announcement. Highlights of changes in this release include improvements of session cookie handling, better processing of big XML-RPC payloads, improved PostgreSQL compatibility, better PHP 5.3 and PHP 4 compatibility, improved Japanese support in search module, better browser compatibility of CSS and JS aggregation and improved logging for login failures. An incompatibility of Drupal 6.16's new lock subsystem with some contributed modules was also resolved. In total there were about 55 patches committed to improve Drupal 6.